The Witches of Eileanan, Book Four. A magical ride through another chapter of Eileanan's rich and turbulent history. Finn the Cat is bored with life as a banprionnsa. To make things worse, her cousin Brangaine has come to live with them and is everything a banprionnsa should be - beautiful, gracious, and always perfectly behaved. Luckily for Brangaine, a caravan of jongleurs arrives at Castle Rurach. But this is no ordinary caravan. Led by Dide the Juggler, the jongleurs have come on behalf of the Rìgh. Once again it seems that Lachlan the Winged has particular need of someone with Finn's peculiar abilities . . .
Finn, desperate for adventure, eagerly takes up the Rìgh's exciting commission and joins the expedition. Their objective: to help Elfrida NicHilde, the deposed banprionnsa of Tìrsoilleir, win back her crown. Their first task: to recapture the prophet Killian the Listener, imprisoned in the Black Tower by the corrupt and cruel Tìrsoilleirean General Assembly. Setting out on this clandestine journey that will take them beyond the Great Divide and into the Forbidden Land, the companions must face dangers that will test their courage and resolve to breaking point . . . and beyond. On their quest, this small party will brave their most fierce enemies in war-torn Eileanan and for Finn, a terrible enemy within. 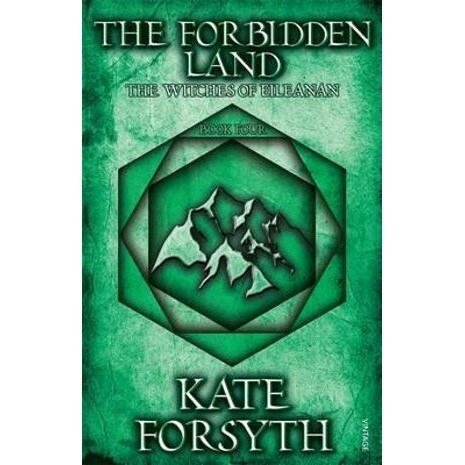 The Forbidden Land is the fourth book in the series The Witches of Eileanan.